Chhattisgarh PSC Assistant Professor English Interview Admit Card 2017 CGPGSC AP Interview Schedule Released at www.psc.cg.gov.in - Chhattisgarh PSC Assistant Professor English Interview Admit Card 2017 Interview Dates- www.psc.cg.gov.in. 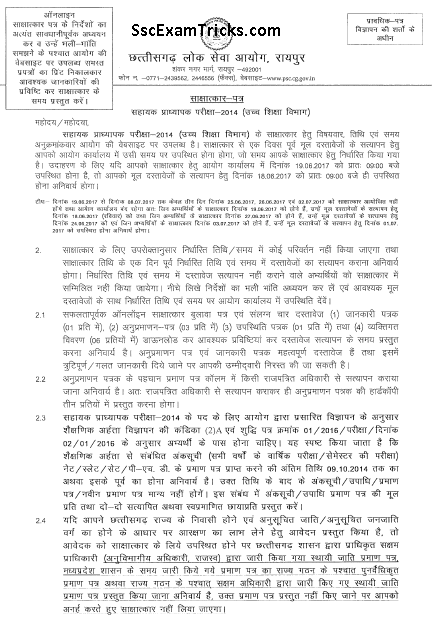 Chhattisgarh Public Service Commission (CGPSC) had released notification and invited from 10th September to 09th October 2014 applications for posts of Assistant Professor English. The selection process will be made through Interview test. Chhattisgarh Public Service Commission (CGPSC) has released online admit card on 04th July 2017 for Interview to be held on 08th July 2017 at various Interview centers for the posts of Assistant Professor English. Those candidates who had applied for these posts and waiting for their Chhattisgarh PSC Assistant Professor English Call letter they can download it from direct link given at the end of the page. 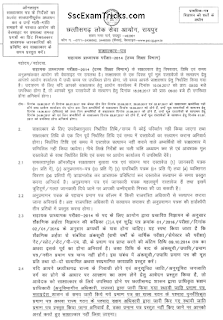 CGPSC Assistant Professor 2014 Document Verification Call Letter 2017 - www.psc.cg.gov.in. Chhattisgarh Public Service Commission (CGPSC) has released online interview schedule/call letter on 16th June 2017 for interview and document verification to be held in 19th June to 08th July 2017 for the posts of Assistant Professors. Earlier CGPSC has released notification and invited applications. The selection process will be made through written test and personal interview. Those candidates who had qualified in written test, shortlisted for the interview and now waiting for their Assistant Professor Interview Call Letter; they can download it from direct link given here. 3. Press ‘login’ button and download your CGPSC Assistant Professor Interview Letter 2017. 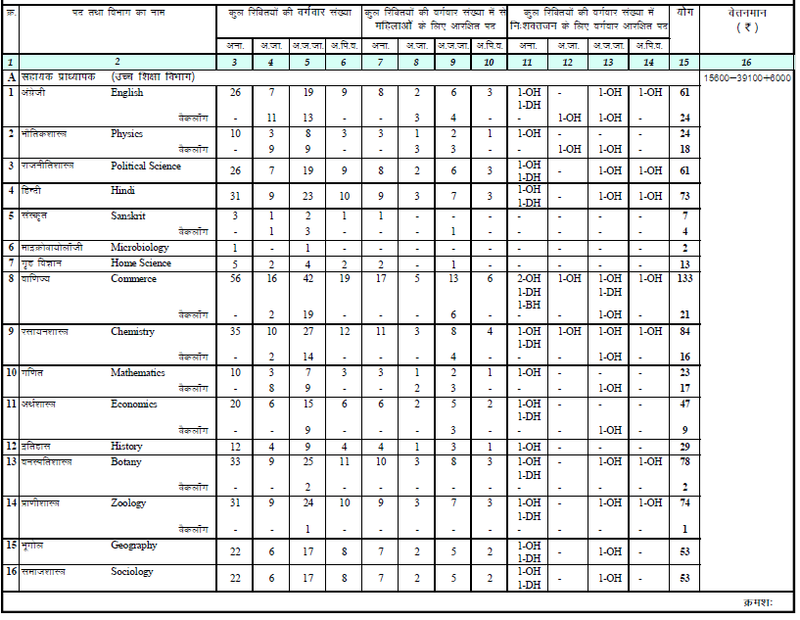 Chhattisgarh (CGPSC) had invited application for 966 posts of Assistant Professors in English, Physics, Political Science, Hindi, Sanskrit, Microbiology, Home Science, Chemistry, Commerce, Mathematics, Economics, History, Botany, Zoology, Geography, Sociology, Teaser Technology, Psychology, Anthropology, Biotechnology, Computer Science, Information Technology and Computer Applications against Advertisement Notice 11/2014/dated 05/09/2014. CGPSC is going to conduct written examination on 22nd and 23rd March 2015. A lot of numbers of candidates had applied for these posts. The Latest News is that CGPSC is going to release Admit Cards for these posts available on official website of CGPSC. Those candidates who had applied for CGPSC Exam 2015 and waiting for admit cards can get their admit cards from the direct link provided in the end of post. Ensure that candidate must have Admit Cards of EXAM along with Original ID and a photocopy of the Original ID. Reach the Venue at least 20-30 minute before the time mentioned in the computer generated admit card. Check for the list of sitting plan according to the name of candidate and roll no. appeared in the admit card. Search for your name and roll no. Note down room no., floor of the room & seating position of the back side of the Admit Card page. Computer Generated Admit Card, Original ID and Photocopy of original ID will be checked twice by Personnel/Officers. Reach to EXAM Room and ensure the sitting plan on the sheet pasted outside the EXAM room. Mark the signature on the Attendance sheet and sit on the designated computer to your Roll No. It is advised to the candidates to reach the venue at least 30 minutes before the time of reporting. This recommendation is provided to relax your mind from expedition of route and prepare for EXAM for performing well. Don’t forget to bring computer generated Admit Card affixed with a coloured photograph, An Original ID Proof and Photocopy of the same ID proof which take to the venue of EXAM. In any confusion/dilemma/Illusion don’t hesitate to ask to the officers who are designated there for the help of candidate to reach to the EXAM room. The mode of selection will be done by preparing a merit list based on the performance in written exam and Interview of the candidates. The Short Listed Candidates or Qualified Candidates will be called for Interview. · Choose appropriate Post code against Post Name link for downloading Appointment/Joining Letter. · Click on the check point to download Provisional Admit Card for CGPSC Exam. · Download CGPSC Appointment Letter.